Charlie Bears have taken the world by storm since their launch back in 2006. Founders of Charlie Bears, Charlotte and William Morris have created a worldwide phenomenon with their wonderful teddy bear collections. 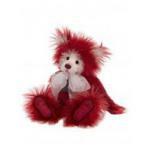 The well known ranges include Bearhouse, Isabelle, Minimo and Plush bears. Each has their own personality and charm. 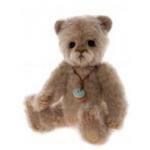 They are high quality bears, using plush, mohair and alpaca, and are highly collectable in addition to being very cute. Designed by Rikey Austin and produced by Charlie Bears, her much loved characters from Alice's Bear Shop are with us again. The excitement is at it's full ...Is your most wanted, finally here? 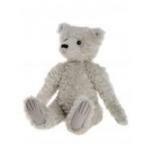 For the latest Plush Charlie Bears, readily available, at World of Bears. Designed by Isabelle Lee, these diminuitive cuties, are crafted from mohair and are Limited Edition Collectibles. The much coverted and highly collectable, mohair and alpaca Limited Editions from the Isabelle Collection. Fabulous little characters that are just perfect to - hang out- with, for bags, keys, and belts. 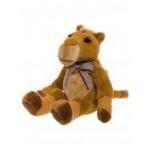 Appealing non-jointed, Collectable Animal Teddies, that are made to be loved and played with. Fabulous, fully jointed mohair Key Charm Teddies, Mice, Snowmen & Penguin. If you go down to the woods today ... you'll be sure of a Charlie Bear surprise! 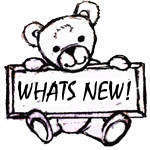 Here you will find the much anticipated releases for 2019, from Charlie Bears - Folklores & Fables Collection. Let's eagerly take a peek, you just know that it will be a joyful outcome! Enchanting past pieces, that are no longer available.